Looking for a dog-friendly hiking trail in Castle Rock, Colorado? Check out the East Plum Creek Trail — an easy dog hike for your pup. If you’re new to Colorado or a first-time dog parent, you’re going to LOVE hiking in Colorado with your dog. But hiking in Colorado is different than hiking in other parts of the country. 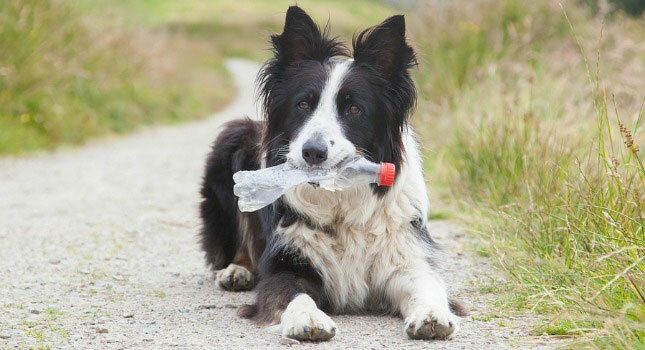 In this article, you’ll learn how to care for a dog wound when hiking: (1) What supplies you’ll need — and how you can improvise (2) What to do for a bleeding paw (3) What to do for a chest or abdomen wound. 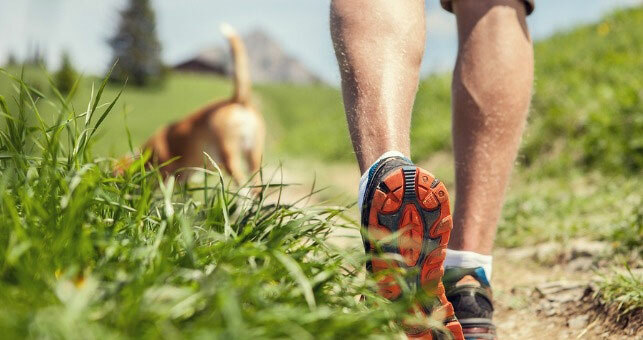 Getting ready to head out on the trails with your pooch? Wondering what to pack for your dog? 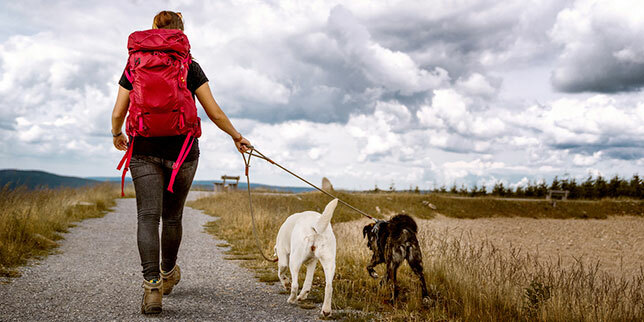 Before you head up into the mountains (or just around Castle Rock), here are helpful items to add to your hiking gear list, so you can take good care of your dog. You’ve searched the web to find an awesome, dog-friendly trail. You’ve filled up your Suburu with a tank of gas. 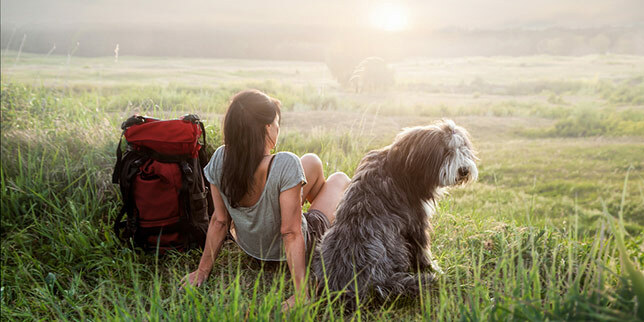 But is your dog ready for hiking? 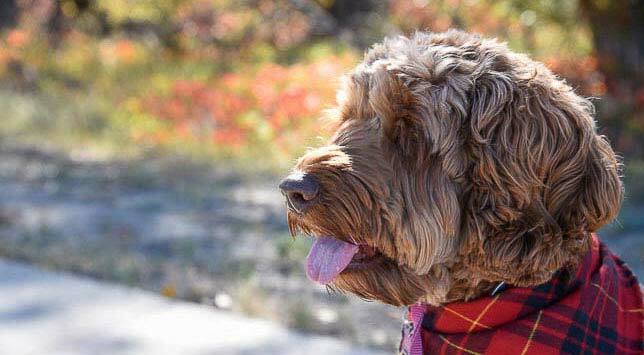 If you’re taking your dog hiking for the first time in Colorado, here are nine tips to get your dog ready and make sure your dog’s first hike is a fun experience. 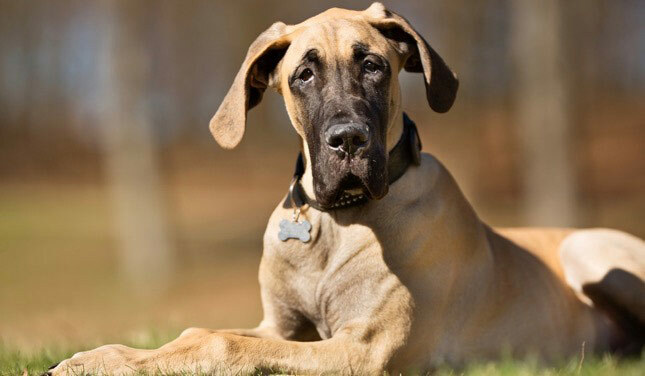 In our last blog post, we discussed common dog parasites in Colorado dogs. This week, our vets want to chat about ways to prevent intestinal parasites, so you can keep your dog (and family members) healthy. 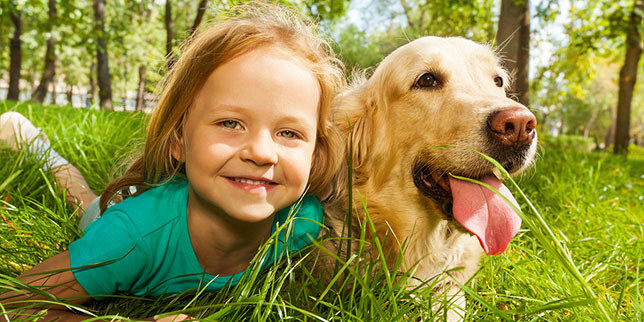 Here are seven tips to help prevent intestinal parasites in your dog. A little prevention goes a long way! Living in Castle Rock, Colorado, we don’t see as many cases of dog parasites as in other parts of the country. Still, it’s definitely possible for your dog to get intestinal parasites here. Our veterinarians typically see two cases of dog parasites per week. First, any time you want to give your dog drugs, chat with our veterinarians first. We know your dog. We can help you choose wisely and figure out the right dosages. Second, there are drugs you should NOT give a dog in pain. Here’s a quick look at them. Our Castle Rock veterinarians see a lot of cases of foxtails in Colorado dogs during the late summer – particularly foxtails in dogs’ ears. You know it’s summer in Colorado when you can kick off your shoes and walk around your yard barefoot. The first couple times you do that, though, your feet are likely to be sensitive. Your dog’s paw pads are no different.